So, I finally procured the website domain and am currently navigating through the many customizing options in order to create a comprehensive and exciting webpage which I have been planning for years. The goal is to cultivate a shared space that is both interactive, professional and inspiring for the slacklining world to follow and participate with. 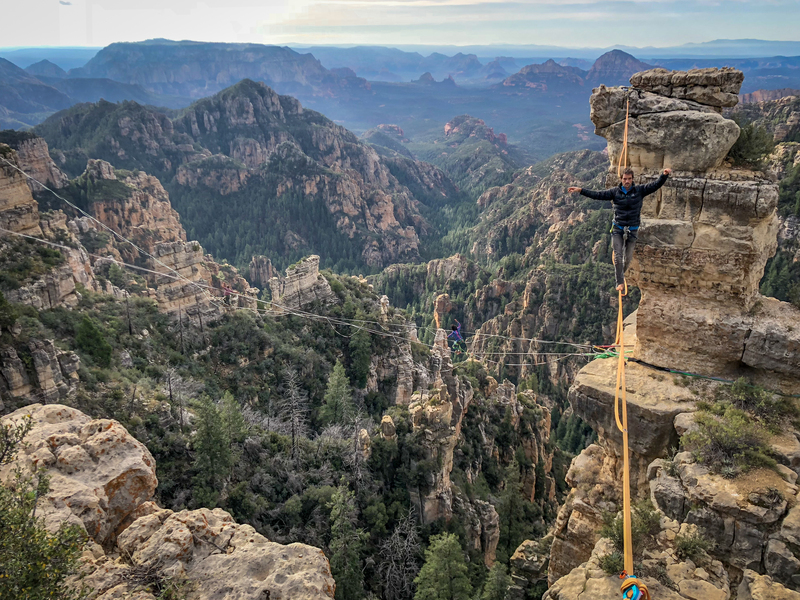 I will document what’s happening in the world of slacklining in both video and photograph form, so stayed tuned as the SLACKLINE MEDIA inundates your life. I only ask that you please be patient with my limited computer skills and knowledge as I slowly begin to create this website for your viewing enjoyment. Thank you for visiting the developing site and I hope to have it better organized over the next couple weeks to come. Until then, slack on and make sure to make it out to Smith Rock State Park for the first annual highline festival that I am hosting this upcoming week. It begins on August 31st of this month and will continue through the 3rd of September. Slackliners are welcomed and encouraged to stay for as long as their schedules can allow!